WHEN THE GROUND OF NEPAL SHOOK on April 25th last year, the reverberations were felt from the urban heart of Kathmandu to the snowcovered slopes of Mount Everest. From that moment, the overwhelming priority has rightly been to support all those people caught up in the disaster: the human tragedy has been great,with more than 8,800 people losing their lives and many thousands more being left bereaved, homeless and in desperate need of international aid. Now that search and rescue operations have begun to wane, attention is turning to the urban fabric that has been left behind, with both city authorities and local communities establishing what will be necessary to knit these broken lands back together again. Help has been at hand, with pledges from governments around the globe to catalyze the recovery and rebuilding process. In June, Nepal’s neighbor India pledged $1 billion to the cause, with China promising $483 million and the United States putting forward around $130 million. More has been pledged by the Asian Development Bank and the World Bank, along with donations from a host of other countries, but further support will be needed: some 875,000 private and municipal structures have been damaged or destroyed,and the Nepalese Government has calculated a sum of $6.7 billion to rebuild all that has been lost.The global reaction to earthquakes in recent history has gained momentum, thanks largely to increased levels of public awareness due to the instant nature of modern media platforms, from 24-Hour news channels to Twitter. Subsequently, governments around the world are under greater pressure to be proactive in their response, and support from around the world has been robust. Furthermore, the Internet has made fundraising strategies infinitely more efficient, harnessing the increased power of communication and coordination in the digital era. In what way can this money best be used to create a more resilient environment for Nepal and its people in the future? safe surroundings that offer a foundation for recovery. Secondly, long-term strategies should be devised to create public infrastructure that can better withstand disasters like this further down the line. Former public interest non-profit Architecture For Humanity adopted a slogan that encapsulates this notion perfectly: they advocate for governments and local communities alike to “Build Back Better”, with greater environmental, social and economic resilience being the overriding goal. 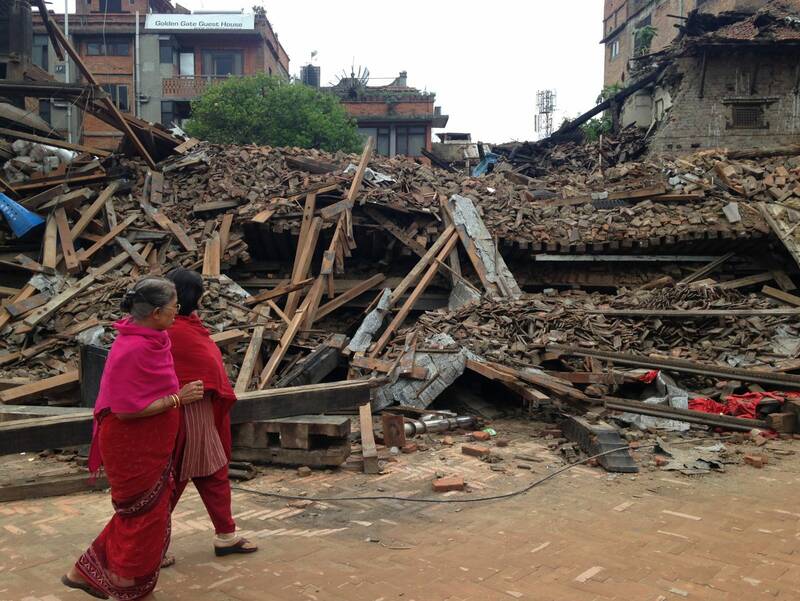 How might the people of Nepal and its supporting partners achieve this resilience, in both the short and long term? In searching for answers, one can examine the varied approaches to post-disaster recovery in 3 countries across the globe that have suffered similarly devastating earthquakes in recent times – Japan, New Zealand and Haiti. While the socio-economic context of each country varies considerably, many design and construction projects can offer a glimpse as to what might be possible in giving communities hope for the future – both in Nepal and in other countries that might suffer from natural disasters in the coming years. 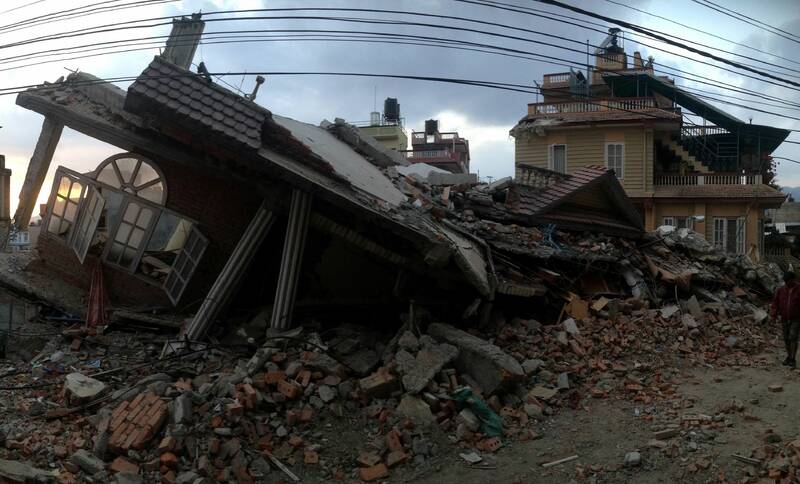 Though a proactive disaster-reduction approach is ideal, many countries cannot afford such an undertaking So, from the moment the ground stops shaking, the rebuilding process must begin – physically, economically, and perhaps most significantly of all, socially. Following the Great East Japan Earthquake of March 11th 2011, and the devastating tsunami that followed it, the impact on public infrastructure and homes the Tohoku region was even greater in scale to that of Nepal – an estimated 1.2 million buildings were destroyed or damaged, primarily by the devastating tsunami that struck the east coast of Honshu following the tremors. In the months immediately following this catastrophic natural disaster, people working in a wide variety of disciplines across the construction sector worked feverishly to provide a platform for long-term recovery across the region. The priority at the outset lay with repairing road and bridges, and providing temporary shelter and schools for the millions left without homes. However, for many architects and designers, there was a clear need to move beyond these basic necessities, looking for solutions to strengthen that sense of communal cohesion and create civic spaces to fill the void left by the destruction of innumerable public amenities. As well as the physical damage caused by the earthquake, cultural identity and the collective morale of the population was affected by the widespread devastation – and this was an area that British artist Anish Kapoor sought to address. In 2013, Kapoor conceived Ark Nova, a mobile inflatable concert hall that would tour the affected east coast regions, offering a temporary hub of cultural activity for communities as they strove to rebuild their towns and cities. The aubergine colored pod comprised a PVC-coated polyester membrane, stretched taut to form a gargantuan funnel and bulbous surround that could seat up to 500 people. One such project was particularly evocative of the local population’s resourcefulness in the face of adversity: a new covered deck for the Hikado Marketplace in Kesennuma-shi was constructed using salvaged timber from the tsunami itself, weaving the region’s turbulent history with a future of increased hope and economic resurgence. With the creative input of nonprofit organizations and humanitarian foundations, small businesses in Kathmandu have the potential to harness upcycling in a similar manner, breathing new life into existing materials and saving money on rebuilding costs in the process. Just one month prior to the Great East Japan Earthquake, the south island of New Zealand was rocked by its own devastating tremors, leaving the heart of Christchurch in a state of disarray. 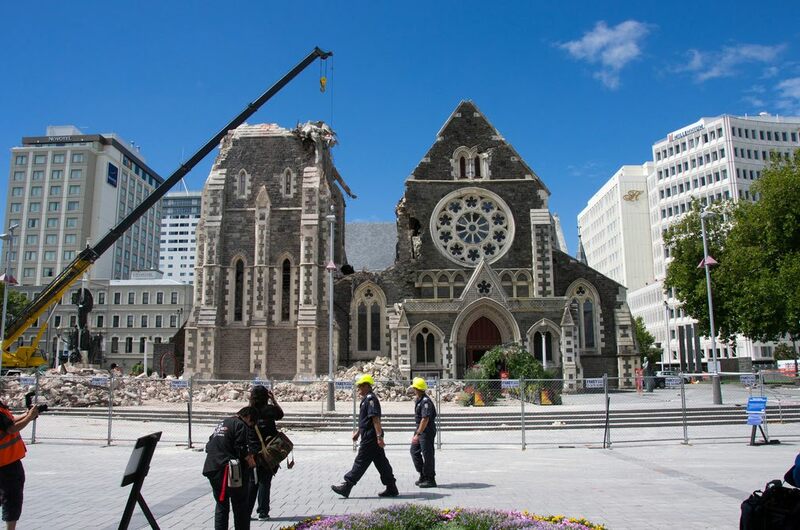 The center of New Zealand’s second largest city was severely damaged by the earthquake, and more than half the buildings in the central business district were ultimately demolished.One of the greatest architectural losses for the local community was that of ChristChurch Cathedral, which saw its spire collapse along with several sections of the roof. A second earthquake in June 2011 caused a key feature of the Cathedral, the rose window in the west wall, to fall in. This ultimately led to a decision in October 2011 to deconsecrate, demolish, and rebuild the building from the ground up.Many communities understood the need to rebuild in a considered manner, given that the new Cathedral will stand as a city landmark for many decades to come – 70 churches and community groups in Christchurch supported the decision. However, after acknowledging that such a project would take many years to complete, a temporary structure was deemed essential, both as a practical location for continuing masses, but also to give the people of Christchurch a transitional hub that could help preserve morale and the city’s identity during the reconstruction period. Christchurch Cathedral. New Zealand after the 2011 earthquake. Indeed, Nepal too has recognized the value of Ban’s expertise – he has recently devised a series of disaster relief shelters, combining the same innovative “paper tubes” incorporated with bricks salvaged from the collapsed buildings of Nepal. The resulting structures are as elegant as they are humble, and show the power of designers specializing in disaster relief to move beyond purely utilitarian structures, producing temporary refuges of real architectural quality. As well as Ban’s cultural intervention, a separate effort to recover Christchurch’s commercial status has been catalyzed by the implementation of unconventional transient structures for the city’s retail offering. 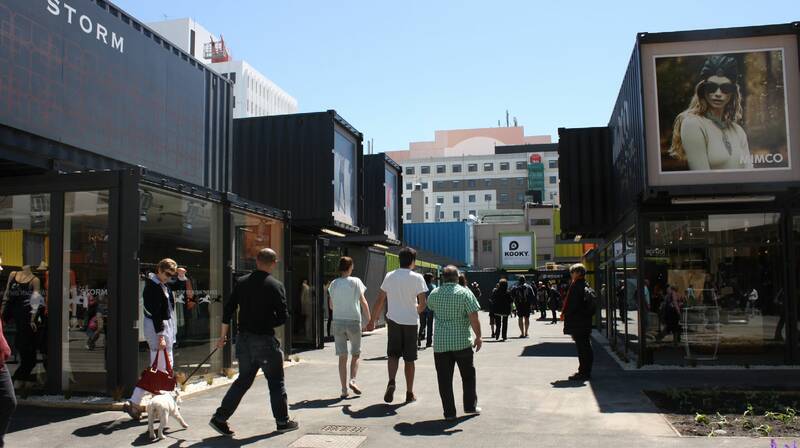 Realizing the wait for commercial units to be rebuilt in the city center could lead to the disappearance of many small businesses, Christchurch’s Property and Building Owners group initiated the Re:START project, utilizing shipping containers to offer affordable leases to retailers and giving locals a new hub to bridge the gap whilst the heart of the city is repaired. What began as a pragmatic, cost-effective solution, evolved into a vibrant new cultural district, with pedestrian-friendly avenues framed by a plethora of colorful containers housing boutique retail outlets, bespoke craft shops, independent art galleries and trendy cafes. The raw materiality of the structures acts as a cultural selling point, lending the area an edgy vibe full of unpolished charm. 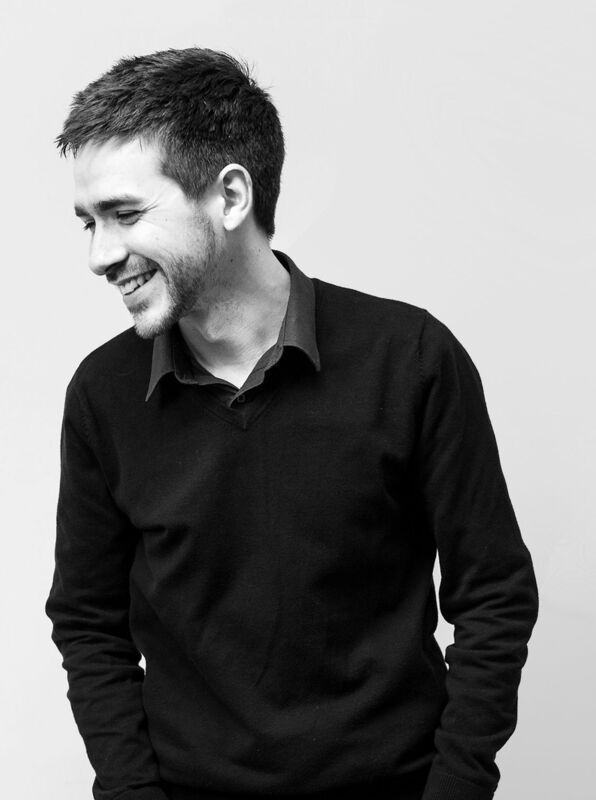 Their modular nature also provides invaluable flexibility, allowing the city to add, subtract and reconfigure structures as the rebuilding process evolves. While there is a huge disparity between the economic context of New Zealand and Nepal, the Re:START project forms a low-cost, high-speed precedent for regeneration, possible within any country provided it is implemented carefully. The same can be said of Christchurch’s wider regeneration plan, which has been viewed by the Government as an opportunity not only to reconstruct as before, but to actively improve the layout of the central district for future generations. Improvements to Cathedral Square, together with a new series of linear parks along the River Avon, are planned to enhance the public realm across the city. The government hopes these improvements will attract many more visitors, and benefit locals that have stood strong through some of the toughest times in the city’s history. In stark contrast to both Japan and New Zealand, the fragile economic state and less developed infrastructure of Haiti meant that recovery from the earthquake of January 2010 has brought entirely different challenges. Delays in clearing rubble meant that many roads in the capital Port-au-Prince remained impassable for many months; when CNN visited the city July 2010,they reported that “it looks like the quake just happened yesterday.” The country has faced major hurdles relating to funding – according to UN figures, only 43 percent of pledged donations for reconstruction had been delivered one year on from the disaster, holding back many proposals for Port-au-Prince. There was also a major health crisis -- the country was hit by its first outbreak of cholera in over a century, further complicating the recovery process. Amongst the struggle, there have been some moments of positivity – once again, Shigeru Ban’s paper architecture appeared as emergency shelters in the months following the earthquake. 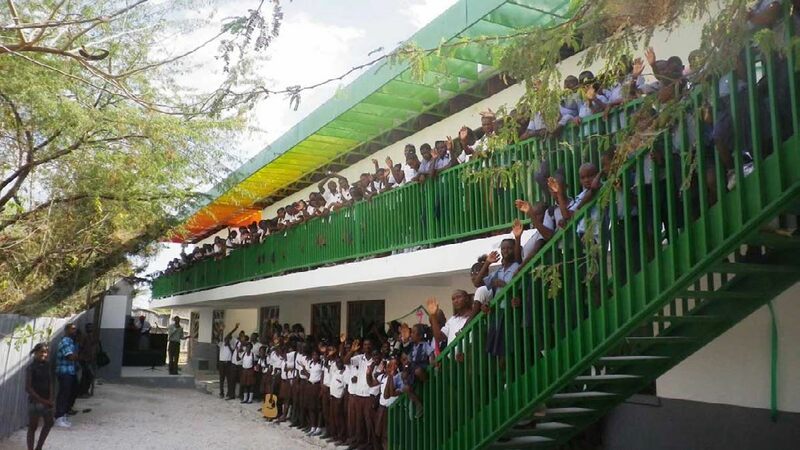 Given the fragile nature of Haiti’s infrastructure, much of the work by designers belonging to humanitarian organizations such as MASS Design Group and Architecture For Humanity (MASS) focused on 2 of the core essentials of society – health and education, respectively. 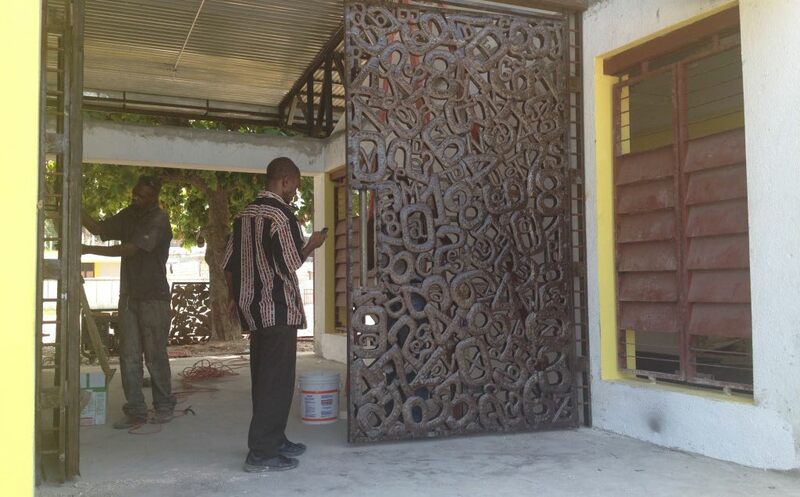 Two clinics - one to treat for tuberculosis and another to treat for cholera - run by Haitian health service Gheksio – were designed by MASS to harness the local conditions of the Caribbean; both were built using vernacular materials crafted by local artisans with permeable walls allowing for cross-ventilation. These clinics provide a tantalizing glimpse of what can be possible across a developing world where low budgets and creative designs are combined. As the New York Times’ architecture analyst Michael Kimmelman mused,“If they turn out right, they could serve as relatively light-footed models for other struggling countries that lack resources for high-end Western-style hospitals.” The same could also be said of the 13 schools Architecture For Humanity has sponsored across the region, designed in collaboration with local architects and constructed by Haitian builders and craftsmen. The schools range from the rainbow-colored canopies of Collège Mixte Le Bon Berger to the intricate metal gates of Ècole Nationale Republiqued’ Argentine, local residents have significantly contributed to every school, and were frequently offered a specialty training for each project. This process speaks to the success of Architecture For Humanity’s overarching strategy to empower local residents, educating these residents with reusable skills that increase the long-term resilience of the community. The events in Haiti could provide valuable lessons for Nepal, as both health and education sectors suffered significant damage as a result of the earthquakes: 90% of remote health facilities were destroyed, while over 32,000 classrooms collapsed across the region. Given these statistics, it is essential that the political wrangling and subsequent inefficiencies that blighted Haiti’s reconstruction efforts are avoided. The work of groups like MASS illustrate the possibilities for constructing well-designed public services on a tight budget, harnessing the skills of the very communities that will go on to use them. Each of the three countries highlighted adopted different design approaches to public structures, depending on their economic context and the overriding needs of the population – but Kathmandu and its people can take something away from each scenario as it looks forwards to urban recovery. Perhaps the most crucial point of all is that the most positive instances of design innovation in these varied contexts – the inflatable concert hall in Japan, the re:START project in New Zealand, and the health and education projects of Haiti – do more than simply responding to an environmental disaster; they strive to repair cultural, economic and social damage caused by the earthquakes, giving the communities the means to feel stronger as they move forward. Economic and social stability will undoubtedly help make all other challenges more surmountable. Politics will always play a major role in the success or failure of such strategies – but innovative design can and should be an influential factor in any event. With a combination of pragmatic decision-making and creative input, building back better is undoubtedly possible – hope remains that Nepal will, in time, find itself back on stable ground.